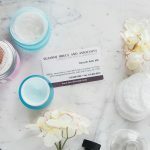 My Current Skincare Routine - Skincare in Your 30s! It’s finally here! My skincare routine video! I’m pretty stoked about this, as I am super passionate about skincare. I have found a routine that works really well for me. It’s kept my skin clear of blemishes and is helping address the whole beginning to age thing. If you are in your 30s, it’s time to start getting serious about your skincare. Luckily, I’ve gotten pretty detailed in this video and why I use what. I am of the mindset of finding the absolute best ingredients found in popular skincare items (hyaluronic acid, AHAs, vitamin A, pure oils, etc.) and using them straight up. My skincare routine may look really different and unconventional, but this comes from years of research and talks with my (now retired) dermatologist. Why put something that’s incredibly expensive on your face, when it’s full of fillers and maybe one effective ingredient? Just use that effective, pure ingredient! Fair warning: this video is 15 minutes long, but it is in-depth and I just can’t skimp on something like this! I really need to stop touching my hair. Retin-A really is not the devil, and if you follow the way I mention how to use it, you will not peel as much or be as sensitive. I promise! I didn’t mention an eye cream because I use the oils under my eyes and feel I don’t need one. I recommend using an EWG recommended moisturizer with sunscreen. Here is a great list to get you in the right direction. Have you found any life-changing products for skincare in your 30s?! You know you gotta help a girl out and let me know! And also, I hope you guys found this video helpful. I have done tons of research and am happy to answer any questions you may have! I really need to get a much better skin care routine. Right now, truthfully, its nothing. i wash my face with water in the shower. That’s it! Okay I so needed this Meg. I always feel like my skin care routine is sub par. The one thing I do love is Frankincense essential oil for my fine lines. Love it! I used to have a Rx for the same Retin-A cream and liked it. My neck has been breaking out for like the last 6 months. So gross. I need to go back to my derm. What product do you use for Sunscreen? Maybe I just don’t realize it, but I don’t think you posted it. I love this routine though! I linked to the EWG’s recommended moisturizers with sunscreen. It’s here: http://www.ewg.org/2015sunscreen/best-sunscreens/best-moisturizers-with-spf/ I just ran out of a Dermalogica one I liked, but plan to purchase one of the La Roche Posay ones on that list! Glad that my routine is helpful! Meg- are you using olive oil to remove your eye makeup, too? If not, what are you using? YES! Best eye makeup remover (and makeup remover) ever!! It literally melts it away, including waterproof stuff! Hello! this was a extremely helpful video, as I am trying to “nail down” a skin care routine at 31. Quick question regarding the Alpha Hydrox/Glycolic Serum. I noticed the top ingredients to be a little scary sounding…Ammonium Hydroxide & Propylene Glycol. Do you know if there is a “natural” product or if this is pretty standard when it comes to Glycolic acid. Thanks a bunch…already have several products in my Amazon cart! Hey girl! I am really not sure what to tell you as another product recommendation! But I did do some googling and see there are plenty of more “natural” glycolic acid facial products! Now you have me intrigued and wanting to try something more natural as well. Thanks for commenting!! That AHA product is now $80!